The advisor is an intelligent analysis agent that looks at numerous aspects of your system trying to identify problems and areas you may be interested in. 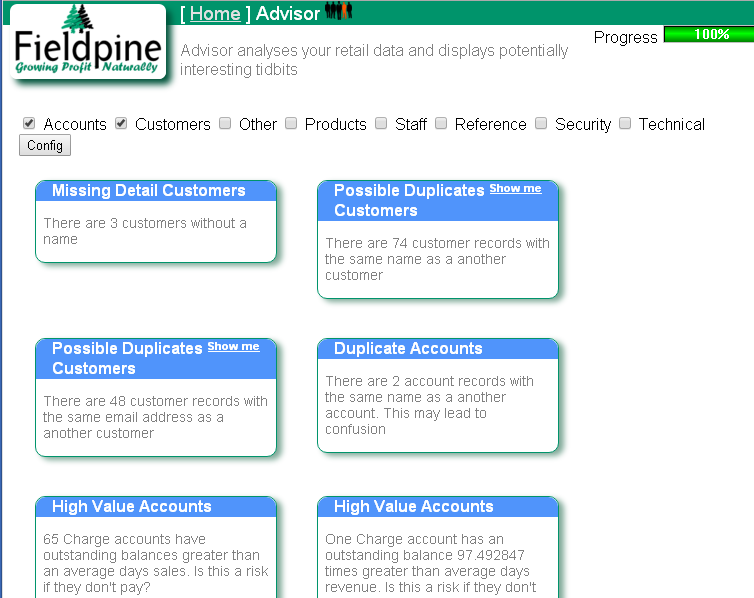 In a fully featured Point of Sale like Fieldpine, the reports can span many areas, so advisor attempts to pull out interesting facts. Advisor runs constantly over your system looking for different information.